Summer internships provide college students with valuable work experience and a host of useful connections. An internship is an extended work experience for college students. The position is usually related to your major and future career plans. You'll earn college credit, a paycheck, or sometimes both. Some degree programs require students to complete an internship before graduation, while others leave it up to individual interest and initiative. Why Take Part In A Summer Internship? Internships provide valuable hands-on experience in your area of study. Summer internships are especially useful because you can dedicate yourself to the position without worrying about working it in around your classes and other school-year commitments. You'll be more likely to find a full-time internship in the summer, so you'll also experience a standard work schedule for a more authentic experience. When you return to school in the fall, you'll gain a new perspective on your coursework after you've seen its practical applications in the world of work. Internships look great on a resume, and you'll also find useful references and contacts. Some internships even lead to part-time employment in the fall or a job after graduation. Your college will be an invaluable resource in finding a summer internship. First, check with the individual department or college of your major to see if they offer internship placement services. This will provide you with more focused assistance. If your major doesn't coordinate internships, or if you're looking for a more interdisciplinary experience, your next visit should be your school's career services office. They will most likely have an online job posting system which also includes internship opportunities. They may also set up job/internship fairs and interview days with larger employers. You can also contact companies directly and ask the human resources department if they are looking to take on interns during the summer. Treat the search for an internship as seriously and with as much attention to detail as you would a search for a "real" job. Polish your resume and create an attention-grabbing cover letter. Your career services office can be helpful once again with this aspect of your search. 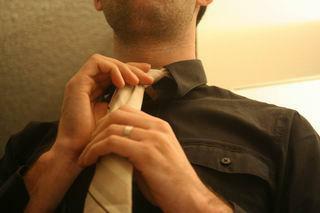 Be ready for an interview; purchase professional attire and practice answering common questions. If individual companies have their own requirements, like a special application form or letters of reference, fulfill every detail. Watch out for deadlines, and even if an organization has an open deadline, don't procrastinate. Summer internships can fill up fast, and you don't want to miss out. If you're willing to travel, there are even more internship opportunities available for you. Paid internships are ideal, but don't overlook unpaid work that represents a great opportunity. Take out a loan for summer living expenses, or search for scholarships for the fall if you typically work during the summer to pay for school. You're responsible for taking care of any college requirements or paperwork, so don't let anything slip through the cracks. Treat the internship like a professional job. Show up on time, work every day, and complete your assignments in a timely manner. Be cautious before trying to change anything. Some companies embrace the new perspective an intern brings, while others want you to pay your dues first. Be willing to take initiative and create your own projects. Consider making appointments to talk to managers and executives in the company, so you can learn from their experience. Document your work and accomplishments for future inclusion in your resume or portfolio. Learn more about the working world at LoveToKnow Business.